Hi! 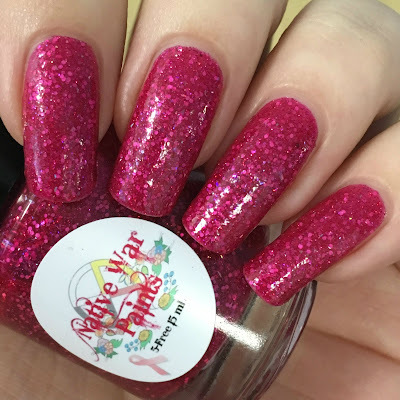 Today I have swatches of this years pink cart trio from Native War Paints to share with you. The pink cart trio is released for Breast Cancer Awareness, and consists of three pink polishes in a pink cart (a mini replica of the full size pink carts made by Cascade Cart Solutions). 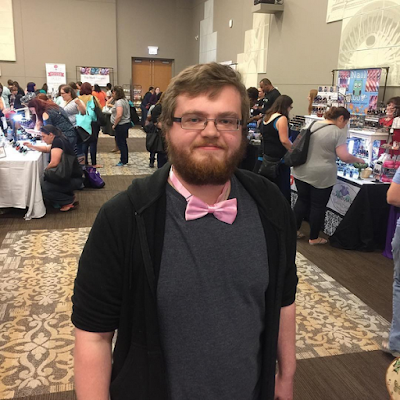 I wasn't able to get my hands on last years trio, so jumped at the chance to get this years at Polish Con Chicago (post here). Read on for full swatches and more info! 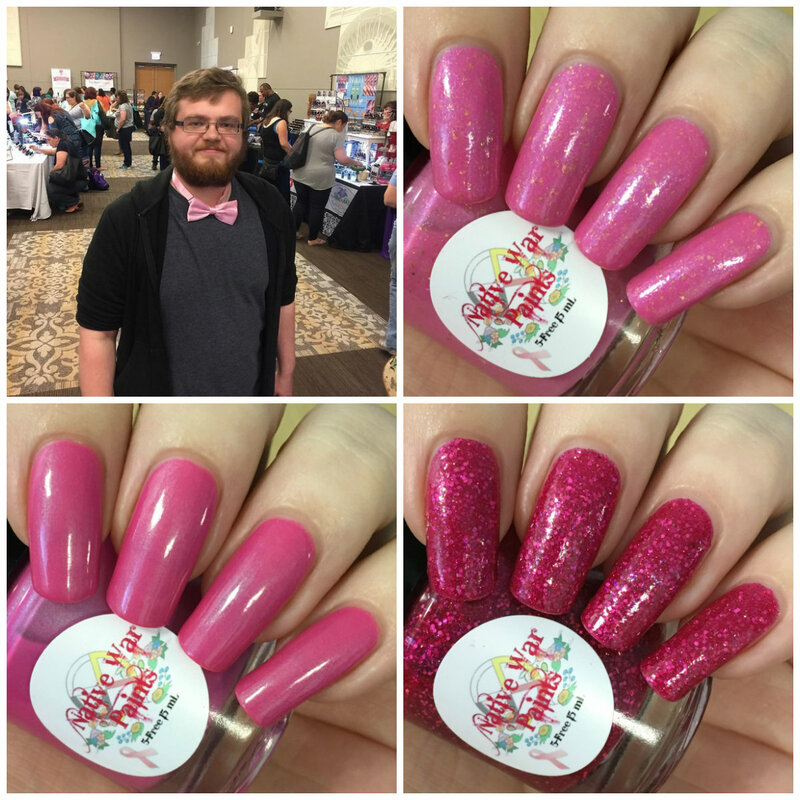 'Brave' is a pink crelly base with gold flakes and blue shimmer. The formula on this is a bit thick due to being a crelly, but it still easy to apply. It is also a lot more opaque than I expected for the softer colour. It builds up fully in two coats and you get a good amount of flakes. The flakes lie nice and flat, although I would still suggest topcoat as it really brings the polish to life. Below is two coats and topcoat. 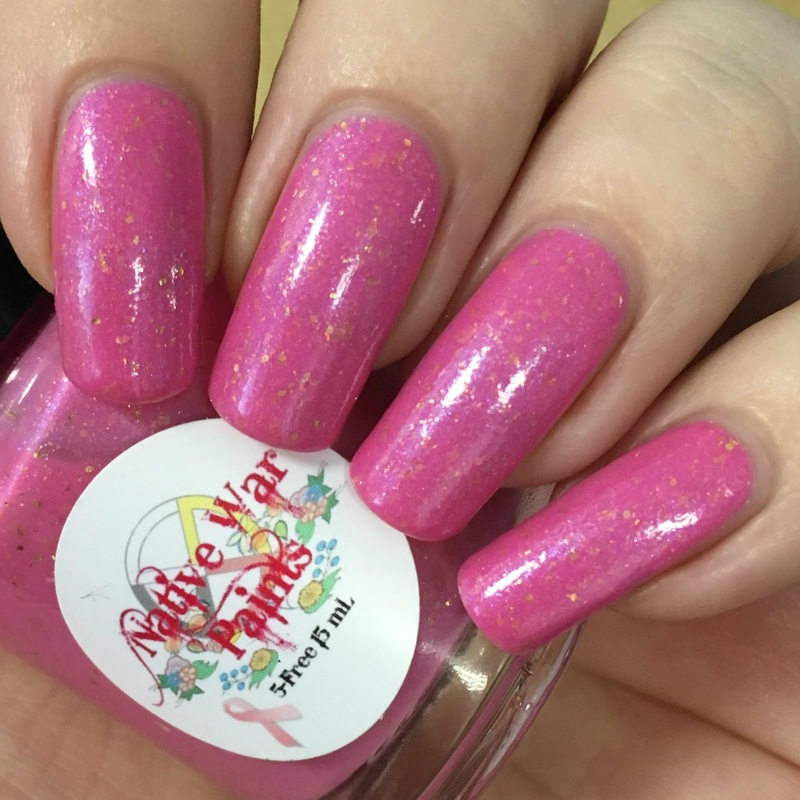 'Warrior' is a neon pink with a turquoise shimmer. The formula is very smooth and easy to apply. I'm happy to say that it doesn't have the typical streaky neon formula. The first coat is a bit sheer, but it builds up really well with a second. This does dry matte, but I can't decide if I prefer it matte or glossy! Below is two coats and topcoat. 'Survivor' is a hot pink jelly full of matte, metallic, and holographic glitter. Again the formula is really smooth and easy to apply, and the glitter spreads out evenly. The jelly base is surprisingly opaque, and only needs two coats to cover completely. The glitter does leave a slight texture, but one thick coat of topcoat should be enough to smooth everything out. Below is two coats and topcoat. What do you think? Being a pink lover, I really like all three. If I had to pick a favourite, I think it would be 'Survivor' - but only just! These are actually the first Native War Paints polishes I have tried, and I am very impressed. All three were easy two coaters, and had lovely formulas. I have a few more of their polishes which I look forward to trying out. The pink cart trio is available all October on Native War Paints website here. It costs $25, with $3 for each trio donated to the American Cancer Society. You can also find Native War Paints on Instagram here. 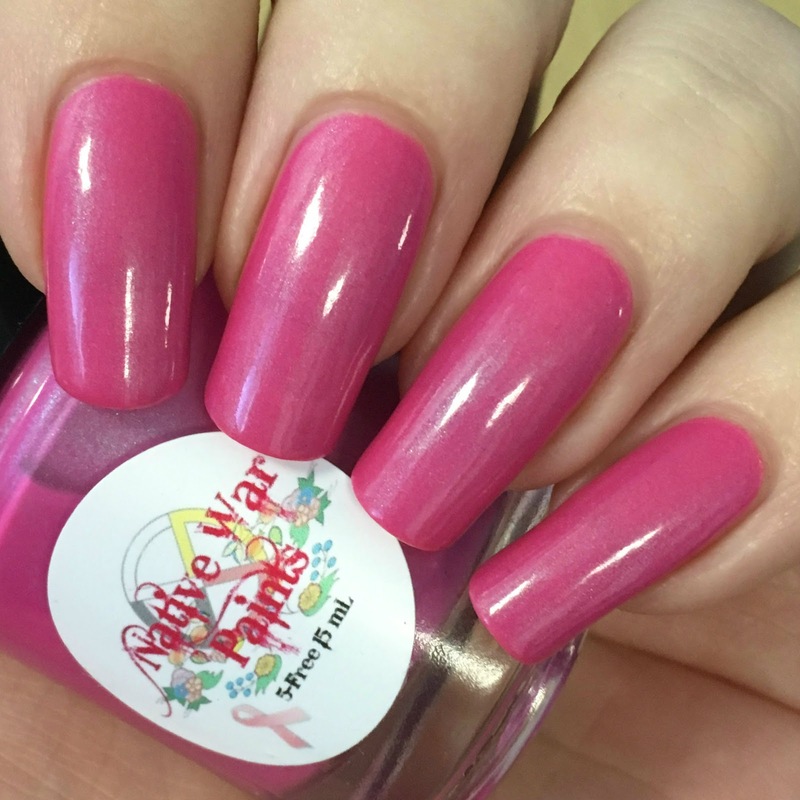 Such a gorgeous post and these polishes are perfect for breast cancer month. I'm a big fan of survivor and love the gold glitters in the first one. 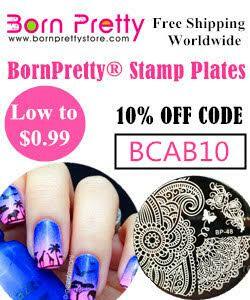 Your nails are also looking amazing! Brave is my favorite pink from these. These are all lovely! These are lovely polishes. Your boyfriend wears that bowtie pretty well! I love all of these pretty pinks!